We also specialize in full size mirrored walls for dance studios, fitness studios & gyms. Take a look at a sample of our beautiful work by clicking here. For more than 20 years, this family owned business has worked very hard to be known as one of the most trusted businesses you will find. We are committed to providing quality service to the community. We believe that a reputation as an honest and reliable business is the recipe for success. While others seek to profit by cutting corners, or recommending unnecessary services to customers, we believe that a good reputation and consistent service will reap bigger profits in the long run. By being trustworthy, we believe that we will enjoy a long term profitable business that serves the community. 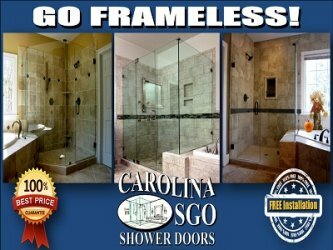 Carolina SGO provides its services to Charlotte’s custom builders, re-modelers, production builders, multi-family developments, wholesalers, and individual homeowners. Carolina SGO provides turn-key solutions to the following North & South Carolina areas: Charlotte, Matthews, Weddington, Monroe, Lake Norman, Lake Wylie, Fort Mill, Rock Hill, Concord, Huntersville, Waxhaw, Clover, Mooresville and MANY MORE! Carolina SGO also ships our products Nationwide.